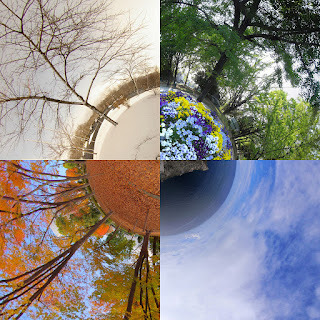 Given its balanced geographical location on the globe, Japan is a country that experiences four distinct seasons. (Some say more if rain season is included.) These distinct seasons known as Kisetsu have greatly influenced Japanese life. One of the finer experiences of living in Japan comes from learning to appreciate the distinct seasons. Each season brings its own festivals, foods, and experiences for better or for worse. For instance where we live here in Tokyo the summer season is wet and humid followed by intense levels of heat. The remedy? Light summer clothing, cool fruits, hand-fans, and parasols to avoid the sun. When the season ends new foods as well as new expectations arise. As Americans we are used to being able to buy anything at any time of the year, however here in Japan it is expected to patiently wait for certain products to come into season. For instance fall is kaki season, while unagi is eaten in the summer. Japanese enjoy the building anticipation that comes from waiting for their seasonal favorites each year! How about the celebrations? While in language classes a teacher described the importance of the four seasons here. In the springtime a popular event is hanami , or flower viewing. Special time is set aside to view the cherry blossoms with your friends. It is expected to eat a meal and drink alcohol near a cherry blossom tree during this time. In the summertime a variation of obon and tanabata are celebrated as was described in a previous blog. In the fall, harvest festivals rein as the local people thank the local deities for their harvest. These festivals are recognized worldwide as those in which people carry idols throughout the streets while dancing and celebrating. Finally, in the wintertime New Years is the large festival in which families adorn their houses with Shinto items and prepare a famous mochi rice soup to eat while watching the new years celebration at a famous Shinto temple taking place on TV. If people do not stay home during this time they will typically gather at a local temple to await the new years blessing. These seasonal celebrations form the dominant Japanese culture. As an American it is somewhat refreshing to see unity displayed through the various seasonal celebrations here. It is also interesting to note that Japanese people do not have any problems saying 'Merry Christmas' during the Christmas season! How do Christians live during the seasons? It is no secret that a serious life set apart for Christ can be difficult in face of the world's culture. For Japanese Christians a real distinction must be made since their society is so different from Christianity. Most Japanese who are serious about their faith will avoid participating in any festivals that bring into question anything that may be an affront to the Savior. Instead, Christians will often have their own holidays to celebrate or will celebrate holidays without the Shinto or Buddhist influences. Unfortunately there is much pressure by the larger culture here for Christians to conform whether it be in school, work, or daily life. Please pray for Japanese Christians as they face the pressures of living here during the seasons!